This week I will be doing a showdown between 3 physical-only sunscreens, which means they are full-spectrum UVA and UVB protection and contain no chemical sunscreen agents. Samples are your friend, especially when you can buy them in packs of 10, as I did/do. I didn't used to have to avoid the sun like a vampire, though, most of my life I got along just fine without sunscreen. Back in Canada, I enjoyed (?) the benefits of being so baby-faced I was lectured (at age 27) for getting married "too young" by a girl more than 5 years my junior. Bouncers spent a long time suspiciously eyeing my ID. I comforted myself that even if I had lingering acne, at least I wouldn't have wrinkles until my late 30's, if my family was anything to go by. My mother was continuously carded until she was 35, so I had high hopes. I had a good decade or more of genetic resistance to wrinkles and aging to look forward to, even if I was afflicted by those pesky zits. Then I moved to the desert. I had no idea that the sun could be so harsh, and I rapidly aged from looking in my late teens to looking in my early 30's, all within 5 years. Almost 20 years of aging in 5 years. Dear lord. Sun damage is no joke. I tried sunscreens: so many sunscreens. I tried Asian sunscreens, touted as so 'cosmetically elegant' that you'd feel like you were barely wearing anything at all. Nope. Every single one made me want to claw my own face off within an hour, and left my face full of angry breakouts. I got into BB cream, naively thinking that that sun protection would be enough, but I know now that a whopping 1/4th teaspoon (for the face) is a common guideline and there's just no way your delicate layer of BB cream is going to give you that density. But I couldn't wear sunscreen, my skin flared up in revolt every time I tried. Some BB creams also made me break out. Then I discovered Cosdna and started cross-referencing the products that broke me out. The thing they all had in common? Chemical sunscreens. The BB creams that didn't? Contained only physical sunscreens. Cue angels singing. I roped my husband into being my swatching model for this, because his skin tone is deeper than mine. I'm approximately an NC10 at best estimate according to swatches of NC15 (see NC15+hordes of BB swatches here) and my guess for him would be NC30. From left: Nature California Aloe Fresh Sun Milk, Sunkiller Baby Milk, IOPE UV Shield Sun Mild Clinic. I'll talk more about my observations about white cast in the mini-reviews, but as you can see, it's pretty intense. This is common in physical-only sunscreens, due to the Zinc Oxide and Titanium Dioxide. Japanese sunscreen bottles are TINY! Look how little it is compared to my hand/sample sachets. As you can see, it does fade down a little and isn't really noticeable on my skin, but I think it would show on NC20+ skin tones unless hidden by makeup. The last survivor of my 10 pack, saved for this review. This was the first physical-only sunscreen I tried, and while it definitely didn't cause my skin to react the way chem sunscreens did, it still wasn't very promising. The sun blockers are physical, and it also contains Niacinamide which is a nice perk. I'm not sure what the concentration is, but I need all the 'fading damage' ingredients I can get. There is no 'fragrance' listed but it does have a noticeable Aloe scent. Stearic Acid, also known as Octadecanoic Acid, is obtained from animal and vegetable fats and oils. From a discussion with Cosmetic Chemist Stephen Alain, I learned that although Cosdna tags Stearic Acid as a 'surfactant', it's commonly used to solidify a product, such as the Su:m37 Miracle Rose Cleansing Stick, so it may be functioning in its 'emulsifier' role here. This is a 'milk' type sunscreen, so it's very runny and completely unlike any of the horribly goopy/greasy/thick western sunscreens I grew up with. You can see in the swatch that it is the runniest of the three. It does apply thinly and easily to the skin, but it's horribly drying. I suspect that this may be due to the alcohol, but it left my face angry and flaky by the end of the day, albeit in better shape than if I had used a chem sunscreen. Really oily skin types may find it helps with oil control, but I would not recommend it for dehydrated or dry skin types. It does not play nice either over or under makeup, despite my best attempts to apply BB cream with fingers, cushion puff, or damp beauty blender. Or vice-versa. Things get patchy and cakey very quickly. I actually gave up on wearing BB cream with this and would just go out in sunscreen + concealer. Has a strong white cast that fades a bit after 20 odd minutes but remains subtly there throughout the day. My paleness finally comes in handy, because the white cast just blurs my skin tone a bit, but I would not recommend it for skin tones below NC/NW20. Would not repurchase. as you shake the product to mix it. Japanese sunscreens are famous for being the best in terms of protection and 'cosmetic elegance' aka how pleasant they are to wear. Ratzillacosme is the best site if you are looking for either physical sunscreens or any sort of info on Asian sunscreens, definitely check her out! Here is her entry on the Sunkiller Baby Milk SPF45 PA+++. Zinc Oxide, Titanium Dioxide. I'm not going to place the ingredients here, because I'm respecting Ratzillacosme's request that her work not be used without her permission. I will say that I did check the ingredients in Cosdna for any potential flags, but I did not save it nor will I be posting it here. She mentions in the product description that this was designed to be friendly for infant skin, being free of additives, hypoallergenic, alcohol-free, etc. Cosdna had no flags over a 1, so it's definitely very mild. Check out her list if you are trying to avoid specific ingredients. There is no noticeable scent to this product. Sunkiller Baby Milk at far left. From my Sunscreen Fairy Godmother! You can read more about my care package here. If you want to pick it up, it looks like it's sold on Amazon for around $9.00. This was the second physical-only sunscreen I tried, and it's a huge improvement over the Nature Republic. It's also a 'milk' but it's much more moisturizing and rich than the Nature Republic. You will notice in the swatch above that it is not as runny as the Nature Republic sun milk. It's also got a white cast so strong that it's sort of ... purple? Like, I swear this is slightly purple because when I apply it, it nullifies the yellow in my skin tone/makes my neck look super yellow by comparison. This leaves my face looking very pink, like I've applied a 'pink light' type base product but forgot my neck. It can be a bit drying after hours of wear, and also completely refuses to work with makeup so I just give up and use it solo + concealer. The white cast is strong enough and lasts long enough for me to use it to even out my skin tone. Might repurchase. Reflective packaging is unfun to photograph. IOPE is a mid- to higher-end Korean brand so I had high hopes for this sunscreen. I'm happy to say that I quite like it, although it's very disappointing that it's so low in sun protection. This also had no Cosdna flags over a 1, and is chock-full of moisturizers and emollients. It also smells faintly like minerals, or dust? Definitely not 'fragranced'. Also, heeeyyy Niacinamide, how you doin'? You can hang out in my sunscreen anytime, bebbeh. From Testerkorea, in a pack of 10 for less than $2.50 USD although the price has gone up to $3.50 now. Obviously, this sunscreen has a quite low protection rating and that is of great concern to me. I currently wear this sunscreen inside while I work in front of 2 large windows, because even working indoors behind glass can still expose you to UVA radiation. Unlike the other two sunscreens, the IOPE has a beautifully moisturizing (not greasy) feel that is so light and unobtrusive on the skin. It also objects the least to being layered over or under makeup, and reapplies the easiest without making my face a cakey mess. Would repurchase. It's time to get ... VEGETABLES! Ugh, sunscreens why do you gotta be so hard. My skin is so clog-prone and hates oil cleansers, yet oil cleansing is a must if I use sunscreen (read more about double cleansing here), so my skin gets grumpy if I oil cleanse too often. That means I do spend some days with the blinds closed, working in a dark office with artificial light, just to give my poor skin a break. Of all 3 sunscreens, I definitely like the IOPE best, but the low sun protection is a dealbreaker. I have no idea if I am getting enough protection by wearing this indoors, but so far the other options I have tried have been too drying to work as a daily sunscreen. I am a Fitzpatrick Type 1 (Always burns, freckles instead of tans, Scottish/Irish) so I am at extra risk of sun damage. Everyone should be wearing SPF15 daily per the American Center for Disease Control: "Use sunscreen with sun protection factor (SPF) 15 or higher, and both UVA and UVB protection." and my skin type has an SPF 30+ recommendation, especially if going outdoors. By that, I'm going to make the call that SPF25 PA++ while indoors is better than SPF45 PA+++ that I can't stand to wear daily because it's going to dry my face off. It's like barrier contraception- it can only work if you actually use it. On the days I am going outdoors, I wear the Sunkiller Baby Milk and then take it off as soon as I come home so it's not sitting on my skin too long. If you have a HG physical-only sunscreen that is moisturizing and available in sample sizes, please let me know in the comments below, or hit me up on Facebook or Twitter! I am dying for options to help me stave off the ferocious glare of the sun. **Disclaimer: All products reviewed were 100% purchased with my own money, with the exception of the Sunkiller Baby Milk which was a personal gift from a friend (thank yooooooou Sunscreen Fairy Godmother!) and my opinions are entirely my own. This blog contains both affiliate and non-affiliate links, and clicking the former before you shop means that this blog may receive a small commission to assist in this blog supporting itself. Please see my Contact Info & Disclaimer policy for more information. My description and skin type categorize me into type 2 but my skin reaction to the sun is type 3 so I can never tell what I really am with that even though I am Scott-Irish decent I also have a Native American background as well. I wonder if that has an effect on my reaction to the sun. This was super interesting to read and while I'm not against using chemical sunscreens or a mix of chemical and physical, I would love to find a good physical sunscreen. I don't mind a white cast because I don't go taking pictures of myself all that often. I'm still trying to find my HG sunscreen and I think I might have found it but I'm still checking others just to make sure. I feel like if I had to get anything in my skin care routine down it would be a good SPF because then all the hard word I do with my other skin care would be poop. Can't wait to hear other reviews on your search for physical SPF! It may be a while before I have other reviews, because the Innisfree phys only I picked up is actually a combo (boooo!) and the Missha one I keep trying to order always goes out of stock. Thwarted! "ven though I am Scott-Irish decent I also have a Native American background as well. I wonder if that has an effect on my reaction to the sun. " I suspect a fair bit, actually, as my husband is a combination of European-Native American and he definitely tans easily and consistently. He doesn't have a tan in the above picture, but he darkens up quite a bit if he spends any time in the sun. I'm in the same boat. 87% Irish/English/Swedish/Norwegian, and under normal circumstances I am, shall we say..."ghostly" is probably the most accurate description since the major western manufacturers don't seem to believe in our existence!!! Grrr. So thank you thank you thank you for this blog! I started humming to myself when my box from Pretty & Cute arrived yesterday! My skin hates oil cleansing so I cheat and use micellar water to remove sunscreen. My daily sunscreen is non-water resistant and not oil based, so I figure it's a good enough trade-off. I have actually been testing a micellar water, but since I only double cleanse when I have been wearing sunscreen or makeup, it's been a slow process. Which one do you use? I have the Bioderma Crealine H2O and Nature Republic Jeju Carbonic H2O. Both remove make-up pretty well, but I usually follow up with a foaming cleanser anyways, especially when using the Nature Republic one because it does have fragrance. Not asian but Burnout face & body spf 30 is a physical sunscreen that is quite popular. It dries a bit matte and is not gloopy but is still somewhat moisturizing. No samples but they will give you a refund if you don't like it. I ordered off amazon (directly from them). @vanityrex: The Bioderma Crealine H2O is the one I am using now too. I do like it, especially in the mornings when I don't want to do a full foaming cleanse. My HG I am repurchasing again and again... and last week got a new tube of is Missha All Around Safe Block Waterproof Sun (the yellow one). It leaves a terrible cast but I wear it with BB on top and it doesn't bother me at all. It works well with all my morning skincare and makeup. I'm super pale and I just like you I was not wearing anything before and ended up with quite terrible lines under my eyes for someone who just go into their 20s. But with this sunscreen I don't even get red after a whole day out. And this was almost impossible before. Yes. I was thinking about picking up the pink one because it is so raved on AB but decided not to risk and got the one I like. xD I hope you manage to get samples, I think it's a really good sunscreen. If I need an all physical sunscreen I use MyChelle's Sunscreen (http://www.mychelle.com/s.nl/it.I/id.64/.f#.VSWY04rF8Yc). It does leave a white cast, but it's not too bad. It's only spf 28 though. It's not moisturizing, but it's not drying either. I can use some chemicals, just not all of them, so I've been experimenting with those this year. I don't understand what you mean by all physical sunscreen. It means a sunscreen that uses only physical sunscreen UV filters, instead of using chemical UV filters. Chemical sunscreens, or chemical+physical combination sunscreens, cause my skin to react very quickly and I break out. Therefore, I can only use sunscreen that is 'physical filters only' and don't contain any of the chemical filters. You might want to look into one of the powder-form sunscreens that come in little jars with puff tops. Sure, some are drying, or cakey, but I actually MAKE my own version of it and it's pretty simple. It's basically one part each silk powder, pearl powder, and MICRONIZED zinc oxide, (plus some minor extras) which makes it completely sheer. I sometimes add some pigment just so I can tell for sure where I put it. Importantly, it HAS to be packaged in a puff-top pot so the zinc can't become airborne and a risk for breathing it in--the dust is fine enough to get right into your lungs. This stuff is awesome--it can go on under or over pretty much any cosmetic, and the little portable jar makes touch-ups easy...however, because the formula is soooo fine, it kind of invisibly settles into the texture of your skin and never sweats off like other sunscreen. While the ingredients are expensive, it's a simple enough formula. Surely SOMEBODY else has gotten it right. Are you aware of UV-blocking films or foils for your windows? I got them for my flat and they are easy to aplly and invisible at first glance, because they let through nearly all of the visible light spectrum and only block the UV spectrum. Using this you would not have to wear sunscreen at home any more. The Innisfree No Sebum Sunmilk is my favorite! I have the Innisfree No Sebum Sunblock as well, but it's thicker and the white cast is more noticeable. The sunmilk is very light and dries quickly to a very matte finish. It does leave a white cast, but it's not very noticeable on me as I'm pale (NC15-ish). It might be drying to people with dry skin.. I have oily skin and love it, because I don't have to blot during the day anymore. Not sure how well it plays with bb cream or liquid foundation because I don't use them during the day. I pat on powder foundation on top of it, and it looks fine. The Missha is thicker but less drying. I do like it, just not as much as the Innisfree sunmilk. Anything drying tends to wreak havoc with BB cream or foundations, and I already have issues with my face sucking up every scrap of hydration out of my base products so everything 'breaks' and clings to my dry flakes. I don't see any before I apply, but 4 hours later, oh hey, my skin looks like a mosaic? There's some samples on eBay. It is a little pricy so I use it for face and other thicker physicals for my body or sun shirt as some in my family are allergic to certain chemical sunscreen ingredients. 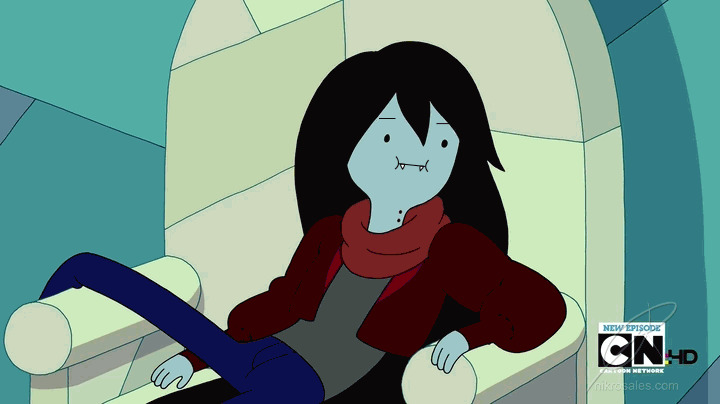 Oh Marceline, my love. SHE'S TOO CUTE UGH. There is no blog post that can't be improved with pictures of her. That aside, I'd never heard of physical sunscreens before this post, but I am definitely going to have to look into this. I don't have acne-prone skin at all (when you talk about your old baby-face skin I relate to that on a very spiritual level. Once at my barista job while these two girls were waiting for their drinks, I heard one off-handedly remark to the other something to the effect of "I didn't know they started hiring 13 year olds as baristas" and this was when I was 18. I still get offered kids menus, which tends to be both convenient and slightly annoying.) but I do suffer from something called Mast Cell Activation Disorder. Basically, the immune cells in my body (esp. closer to my skin) like to overreact to tons of random things and release excess amounts of histamine. Can you say hives and itchiness galore? I'm lucky in the white-cast regard too, since I'm super pale- definitely lighter then nc15. I also don't mind accentuating my own paleness, personally . So hopefully that aspect shouldn't cause me too much trouble. I've got weird skin though (mostly dry, with patches of oily skin on my forehead and above my lip) so here's to hoping I can find something that won't be too terribly drying. It's not Korean, but Pratima carries a nice Neem Rose physical sunscreen. Have you tried and reviewed Biore sunscreen? So this is a bit of an old post but living in Korea let me stumble on a few neat things you may want to sample. First, I also use iope sunblock. I was going to get the sensitive one but I had just had a face treatment at the dermatologist and wouldn't risk it, so I opted for the 50. I was worried because I noticed layer it had a fragrance, but my skin did fine. Normally, putting sunblock on is about the same as taking a lighter to my face. I had previously been able to use the nature republic you show until they changed the formula and now I react. You may want to try the 50 and see. The other thing, if you haven't already tried this (I double cleanse on days I wear makeup or feel gross) Byond make an oil cleanser that has saved my life. It's a green bottle from their phyto line. The price is up a wee bit from when I discovered it, but worth every penny. I use that along with ultra gentle cleansing lotion from Neutrogena. I've hardly had a pimple in 6 months. Iope sunblock in the morning and those two at night followed by physiogel intensive cream (I have eczema so I need serious moisturizer) which is also amazing and fairly cheap. Sorry for the novel, but it might help since I know the sensitive life all too well.